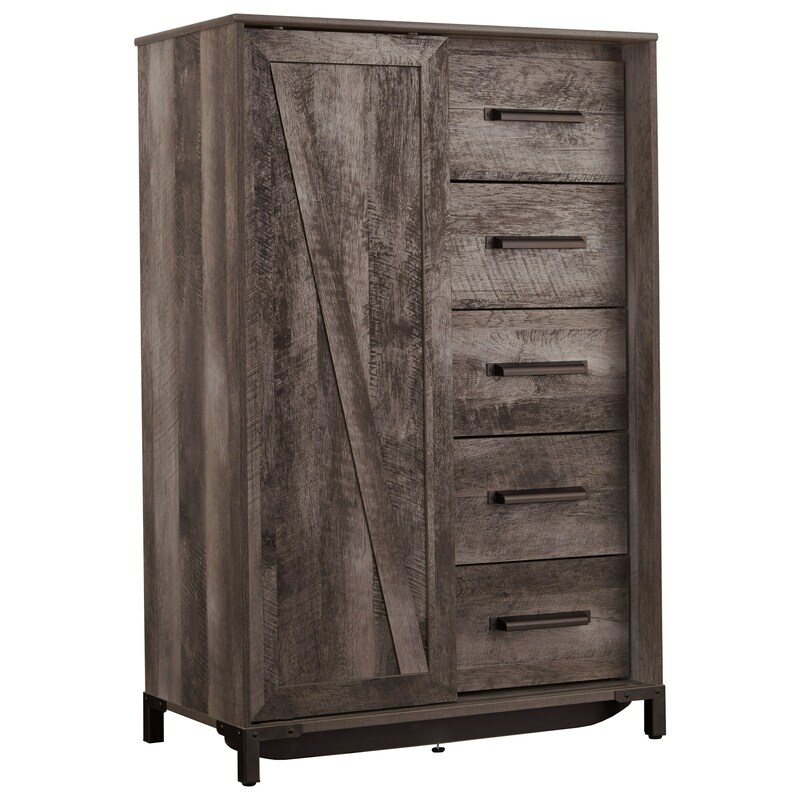 Featuring a cross-buck style sliding door with four shelves inside, five smooth-glide drawers and a rustic gray finish over replicated oak grain wood, this dressing chest exudes modern rustic style. Hooded pull hardware completes the look with a touch of industrial flair. The Wynnlow Dressing Chest by Signature Design by Ashley at Lindy's Furniture Company in the Hickory, Connelly Springs, Morganton, Lenoir area. Product availability may vary. Contact us for the most current availability on this product. The Wynnlow collection is a great option if you are looking for Rustic Casual furniture in the Hickory, Connelly Springs, Morganton, Lenoir area. Browse other items in the Wynnlow collection from Lindy's Furniture Company in the Hickory, Connelly Springs, Morganton, Lenoir area.